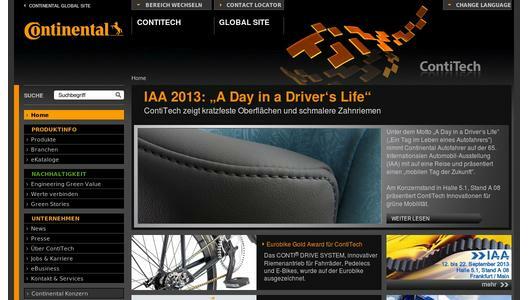 Continental can look back at a very successful showing at the Eurobike: "The market response to Continental's new drive system for e-bikes and pedelecs has been exceptionally positive. The technical characteristics and design won the experts over," explains Regina Arning, head of the Industry segment at the drive specialist ContiTech Power Transmission Group, on the last day of the show. 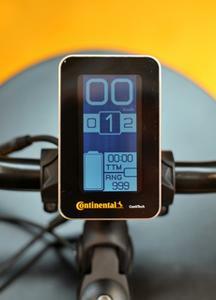 "We expect to see the first bicycles with this system already at Eurobike 2014. By 2015 at the latest, end-users will also be able to buy them." 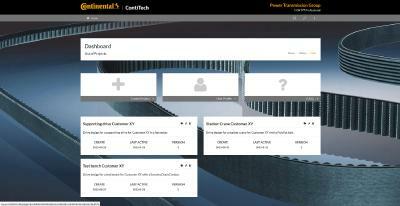 Continental's goal is to attain a double-digit share of the fast-growing market for e-bikes and pedelecs, so to this end they are building a comprehensive service network. Over four whole days dealers, manufacturers, and end customers had the chance to find out more about the complete system, which comprises the mid-drive motor, display board, control unit and battery. The system was showcased at the booth as a prototype. In particular the motor, which is integrated directly in the frame, impressed the over 200 testers who were permitted to ride the trial version around the open-air exhibition area. 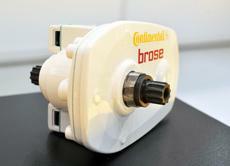 The motor was developed by automotive supplier Brose, optimized for the Continental system, and produced by Brose. 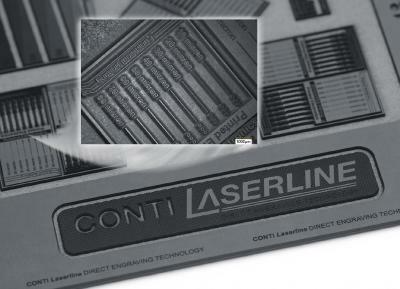 The modularly designed system is positioned in the premium segment. It is smaller, more powerful, and lighter weight than other concepts currently on the market. The 250-watt motor itself weighs a mere 3.4 kg and supplies torque of up to 50 Nm. The system engages exceptionally smoothly, giving a much more comfortable ride. Bicycle manufacturers can configure the system according to their needs. For instance, batteries for installation on the luggage rack or lower tube can be ordered and are also available in various capacities. "We see system integration and the future functional development of the system as being our core expertise," says Arning. The CONTI® DRIVE SYSTEM certainly contributed to the success of the showing, as it was awarded a Eurobike Gold Award 2013. Developed in collaboration with ContiTech's cooperation partner Benchmark Drives, this drive technology replaces the conventional chain with a timing belt on bicycles, pedelecs, and e-bikes. The special tooth shape and pitch of the teeth allows it to function at a lower belt tension. The belt runs lightly yet doesn't jump, and gives the bike a particularly appealing design. "This should lay the foundation for belts becoming an established part of bikes," was the jury's verdict. Other advantages of the innovative drive over chains: it works without oil, does not have to be retensioned, is maintenance-free, and will not make trousers or hands dirty. Manufacturers can order the system now.